A gorgeous moon lamp on a keychain. You can hang one of these on your bag! The moon shines beautifully and is a really eye-catching size! It would make a great gift for people who love space and celestial fashion! This perfect 3D printing moon meets style in an exquisite moonlight keychain that makes heads turn! Quality crafted with great attention to detail. This little moon keychain pendant is extremely realistic, based on satellite pictures of the Moon surface. Light up your night sky! Stop searching unsuccessfully in your purse or backpack for your goods! 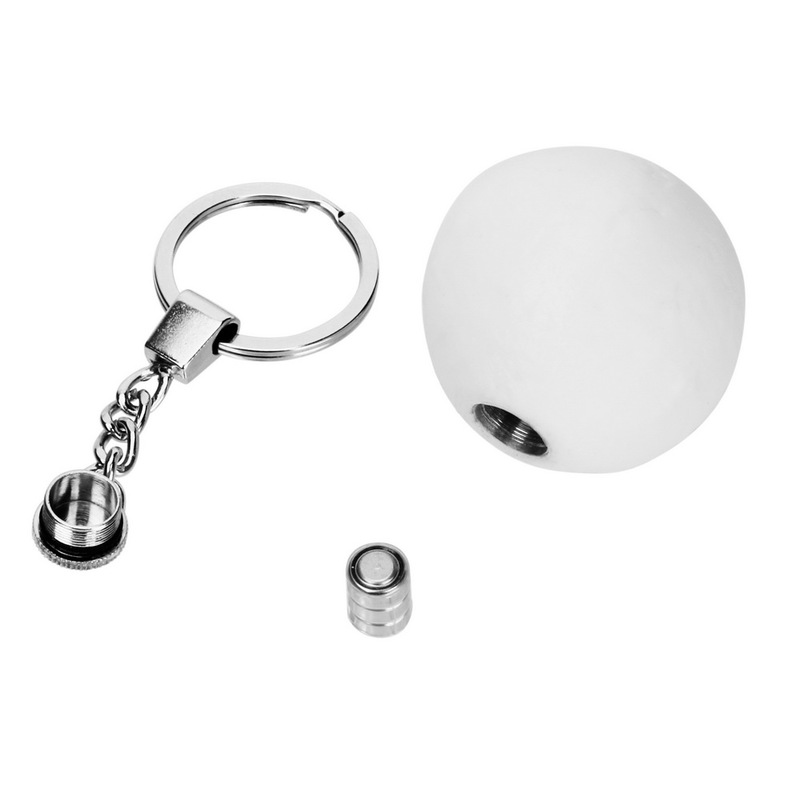 This lighting 3D moon keychain will provide you with the bright light you need to find your wallet, cards or keys easily.